(JNS) Hamas engaged in the violent suppression of protests for reform in the Gaza Strip for the third straight day. The protests against high rates of unemployment and the cost of living took place just days after two rockets were launched on Tel Aviv, bringing swift reprisals from Israeli forces, which bombed approximately 100 targets in Gaza. Footage appearing to show a protester named Ahmed Abu Tahn lighting himself on fire after being unable to pay his rent. It was brought into question by the Al Mezan rights group in Gaza, who told Israel’s Haaretznewspaper that the footage was old, and that no self-immolation had actually taken place on Saturday. However, at least 80 demonstrators have been arrested in the last 24 hours alone, with countless others being attacked by Hamas forces in the streets. 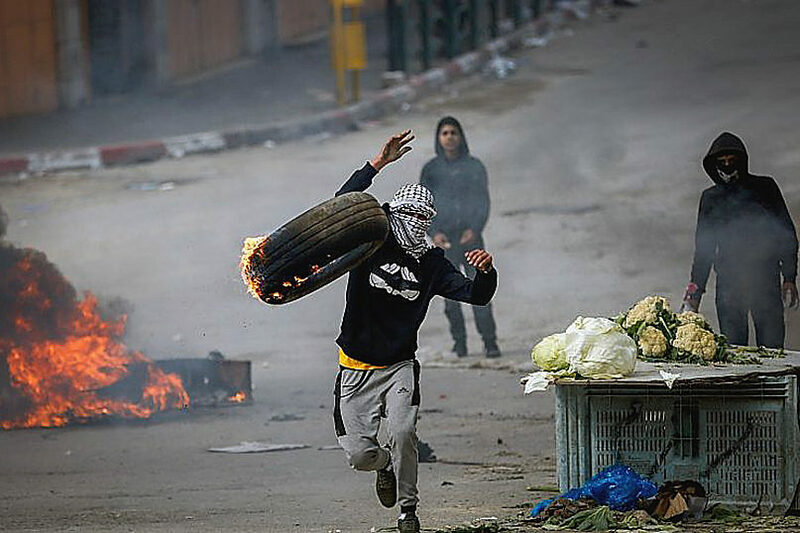 Reports indicate that Hamas has also utilized live fire to contain the protests. An emergency high-level meeting is expected to take place at the request of the Fatah-backed Palestinian representative to Egypt and the Arab League, according to PLO Executive Committee member Wasel Abu-Youssef, who told The Times of Israelthat the meeting would discuss the situation in Gaza. The Fatah-led Palestinian Authority, which oversees the Arab population in Judea and Samaria, lost control of Gaza to a Hamas coup in 2007, shortly after Israel unilaterally withdrew from the region in the summer of 2005. Since then, the two parties have battled for control in Gaza, with efforts at reconciliation ultimately failing on each occasional attempt. Friday’s protests centered around Deir el-Balah and Khan Younis, where residents burned tires and blocked roads. An AFP reporter said journalists are being prevented from filming or photographing demonstrations, with many of the videos out of Gaza being taken stealthily, for fear of a backlash by Hamas. Seven Palestinian reporters were in Hamas’s custody on Sunday, reported The Times of Israel, citing a source with the Palestinian Journalists Syndicate, as they were covering protests over Gaza’s increasingly severe economic hardships and high cost of living. The West Bank-based syndicate said that 17 journalists were arrested, 10 of them released and four undergoing hospital treatment. “I am particularly alarmed by the brutal beating of journalists and staff from the Independent Commission for Human Rights and the raiding of homes,” he added.